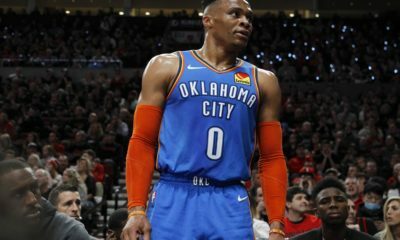 The Oklahoma City Thunder were able to avenge last week’s 114-112 loss to the Bulls in dominant fashion last night in Chesapeake Energy Arena defeating the Bulls 121-96, but that didn’t come without controversy and tempers flaring on the court. 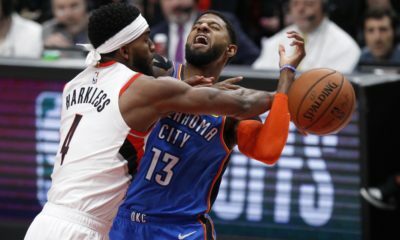 Despite Chicago pulling it within two at one point, the Thunder handled this game with ease and were led by Paul George having a perfect second quarter creating a blowout of a game, but tensions rose in the third when Russell Westbrook and Kris Dunn exchanged contact to ignite an all-out brawl involving multiple players, coaches, security pulling everyone off each other, and fans having to duck and cover. Jerami Grant and Bulls big man Robin Lopez fell into the crowd going at it, and Steven Adams, once again, had to step in to attempt and calm everyone down. Four technicals were handed out to Westbrook, Dunn, Lopez, and Grant, and Robin Lopez was later ejected after picking up a second technical when a gesture toward Jerami Grant was taken as unsportsmanlike. 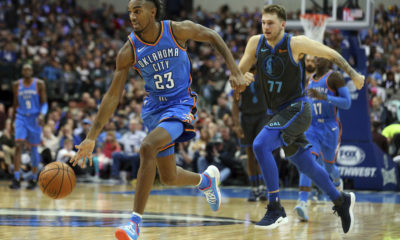 Even after a chippy third quarter, the Thunder were able to close out the game easily outscoring the Bulls 33-27 in the fourth quarter picking up their 19th season win and giving the Bulls their 24th loss. 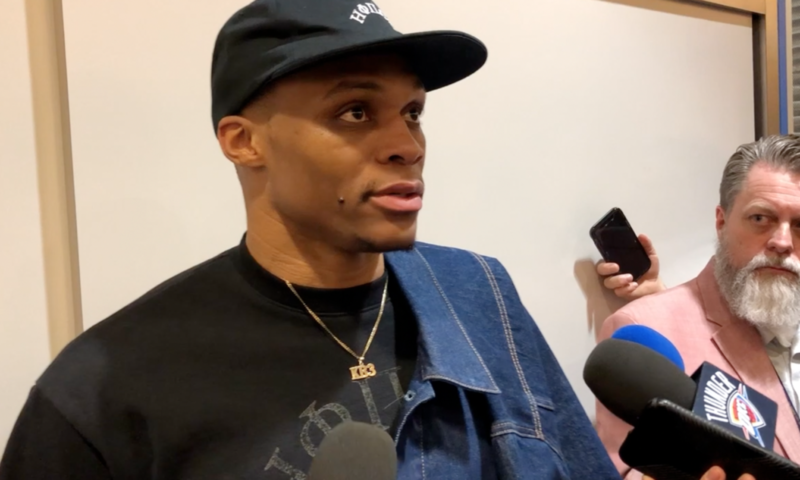 Thunder players such as Paul George, Russell Westbrook, and Jerami Grant were available to the media after the game, so watch below to see what they had to say following last night’s win.